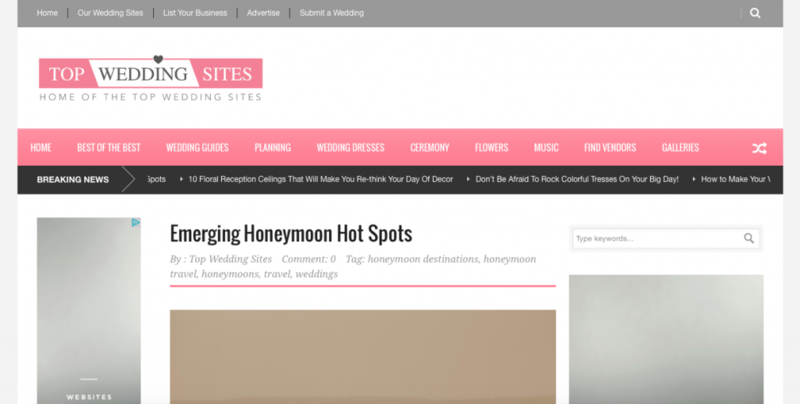 Wedding PR: Honeybook, The Perfect Palette, Top Wedding Sites and More! We have many wonderful new press features to share! Get ready for Honeybook, The Perfect Palette, and so much more. Dive into our latest PR roundup below! Think it’s time to add another member to your team? Taylor’d Events’ feature on Honeybook has great advice for wedding planners on the fence about bringing on another employee. Check it out here! 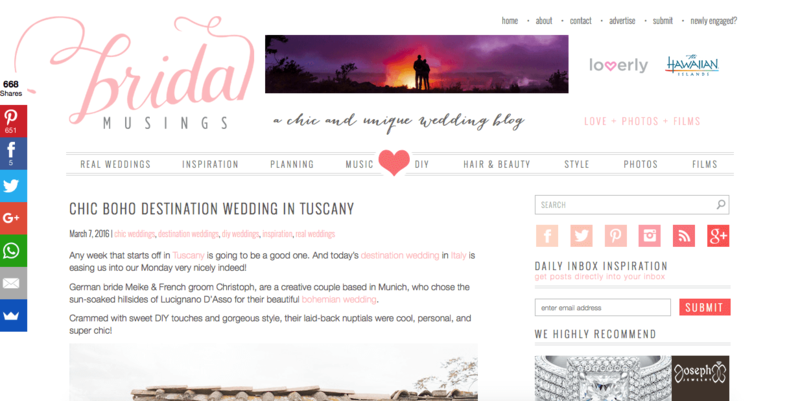 We’re so in love with Rochelle Cheever’s destination wedding on Bridal Musings! Get ready to drool over this couple’s boho-chic union in Tuscany here. 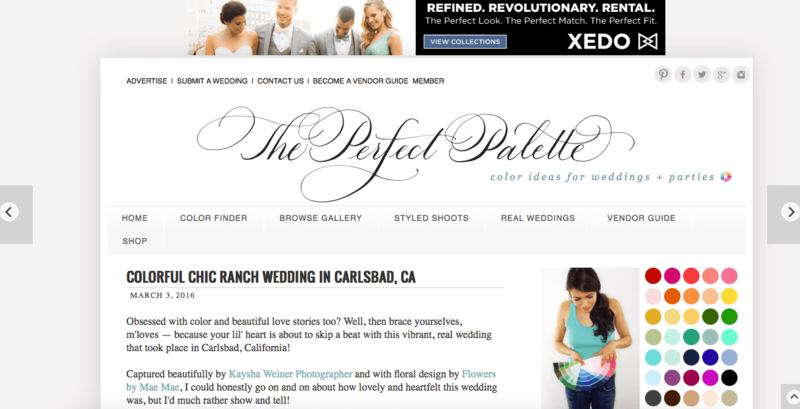 Kaysha Weiner Photographer’s feature on The Perfect Palette is just gorgeous! Take a look at this couple’s colorful, California wedding photos here. Destination Weddings has gathered the top honeymoon hot spots couples are flocking to on Top Wedding Sites. Check out the list and start planning your getaway here! Every bride wants their leading ladies to look stunning on their Special Day. Thankfully, Azazie is sharing wonderful tips on Wedding Lovely that’ll help bride-to-bes pick the perfect bridesmaid dresses. Check out the full article here!